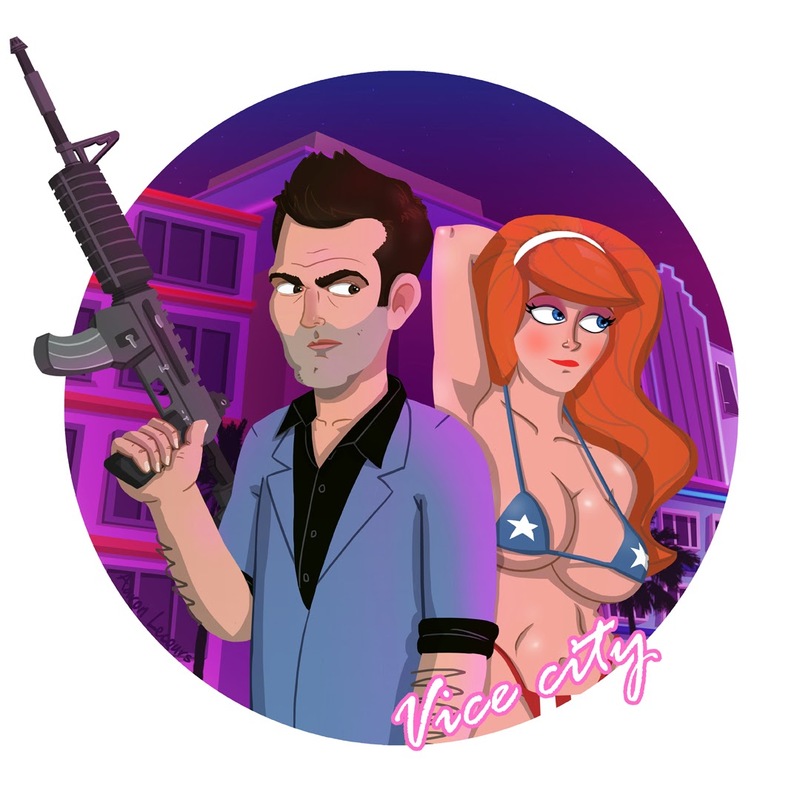 I felt like doing an illustration for my love of GTA: Vice City, and nothing screams Vice City like the main character Tommy Vercetti and his promiscuous damsel in distress Candy Suxxx. 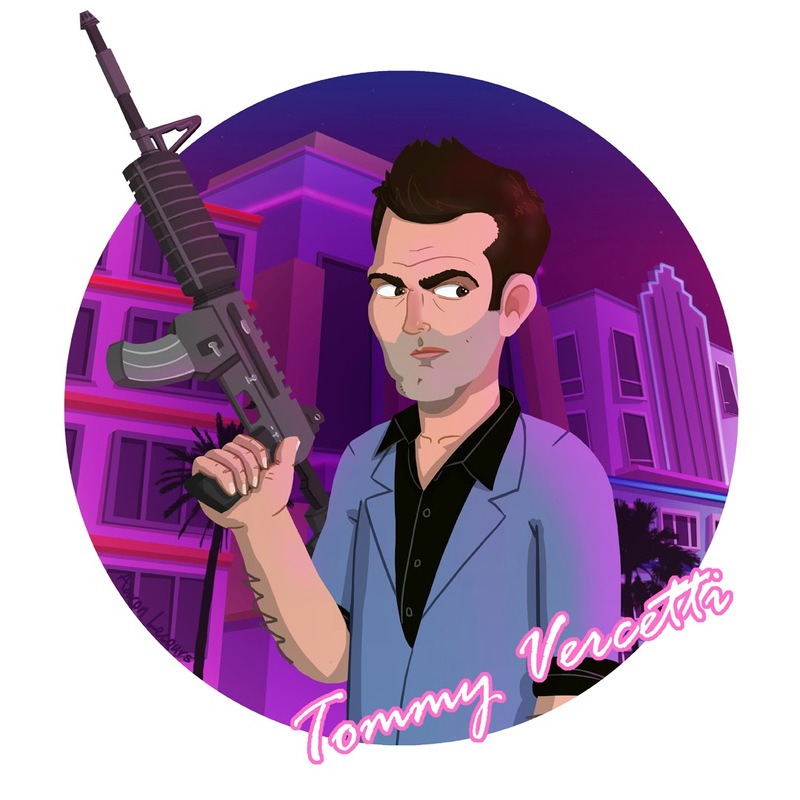 I've been playing Vice City on my Iphone recently and I gotta say, it hasn't aged a bit in 12 years, and that's not just nostalgia. Well maybe it's a little nostalgia, but the Radio stations have aged like a fine wine.